3 Levels .......... 4 bedrooms.. 4 baths.. theater room..back bar.. !!!! Our Mountain Hideaway at Seven Springs Resort !!!! Free Access !!! Free Access !!! Free Access !!! May 24 .... thru .... 2nd Weekend in October . We are ... Located on a corner lot, 50ft. This superior quality Cedar and stone 4800 sq.ft 4 Bedroom , 4 bath home sleeps 10 (including the lofted area). 2 Levels .... 3000 sq ft.. !! Mountain Get- a-way !!! Hi , my name is Diane and I have been renting vacation properties at Seven Springs Resort , near Pittsburgh and in Ft. Lauderdale FL for 15 years. Seven Springs and the Laurel Highlands are such a great area for families and couples. There is so much to do in all Four Seasons. 3 full baths and 1 powder bath Look at the photos.... Up Scaled Baths that are Truly Fabulous !!!! Our Place at Southwind is Mountain Top on 7 Springs Resort. The views thru the 28ft. windows and deck are amazing from this Townhome... It is located on a corner lot !!! Seven Springs Resort : Bicycle paths for all ages.. Chair lift to the mountain top. Southwind at Lake Tahoe offers canoe... kayak .. hydrobiking.. paddle boats..
20ft deck on a corner lot, panoramic view the laurel mountains - no obstructions. Truly Fabulous !! This house is AMAZING! Beautiful living space, gorgeous kitchen! Perfection! We had an amazing time at this gorgeous property! Great living space, gorgeous kitchen, theater/entertainment center in the basement was perfect for family fun! HIGHLY RECOMMEND!!!! 5 star stay, the home is beautful, clean and updated. We enjoyed our stay at this townhome. The owners are friendly and helpful. The home is beautiful, clean and updated. They provided sheets and towels. We would recommend this home to family and friends and would stay there again. There is plenty of room and the home was very comfortable to be in. Great home - large, very well furnished and comfortable. Huge basement with shuffle board and home theater set up. Beds/bedrooms are spacious and comfortable. About a 10 yard walk to the ski slope. Heated garage with flooring which allows you to change in/out of ski gear warm and comfortable. Long story short - we’re coming back! This house was very clean and well kept. The size of the house was fantastic, more than enough room for our party. The location to the slopes was perfect. The owner was very nice to work with and very hands-on to ensure a great trip for us. Western Pennsylvania's Laurel Mountains abound with recreation opportunities...Skiing, Snow Boarding, Tubing and Snowmobiling at Seven Springs and Hidden Valley Resorts. Family Recreation - Euro Bungie, Climbing Tower, Center Climbing Wall, Crafts, Mountain Biking all at the Four Seasons Sevens Springs Mountain Resort. 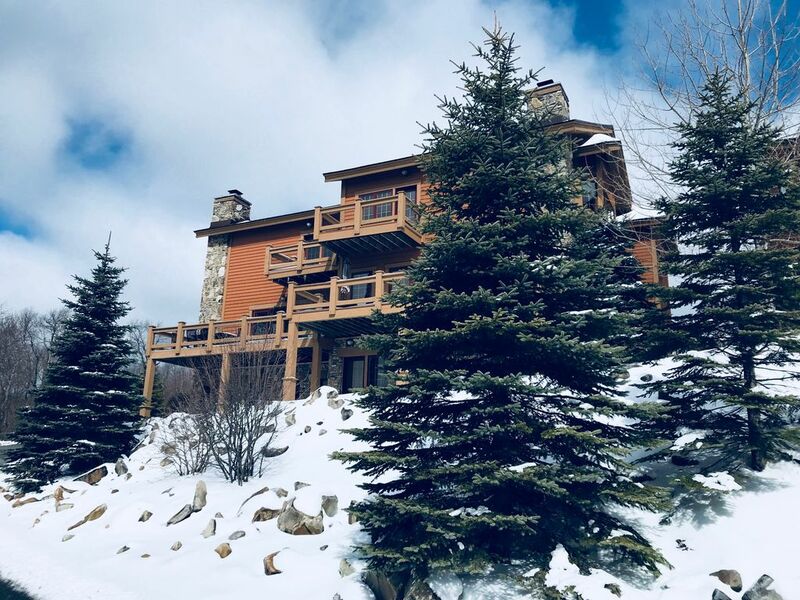 Indoor/Outdoor Heated Pool at Lodge, Golf Packages, Exercise Room, Entertainment at 7 Springs - 'Beach Bar', Outdoor Concerts - call for schedule, Volley Ball, Tennis, Biking and Walking Trails, Horseback Riding, Skiing, Snow Boarding, Tubing and Snowmobiling, Fishing & Hunting. Ohiopyle State Park - White Water Rafting, Biking. Laurel Mountain State Park, Idlewild Amusement Park, Yough River, Deep Creek Lake (1 hr. away), Outlet Shopping at Somerset Outlet Mall, Shopping in Ligonier, Caddyshack Family Fun Park, Numerous historical and other attractions .